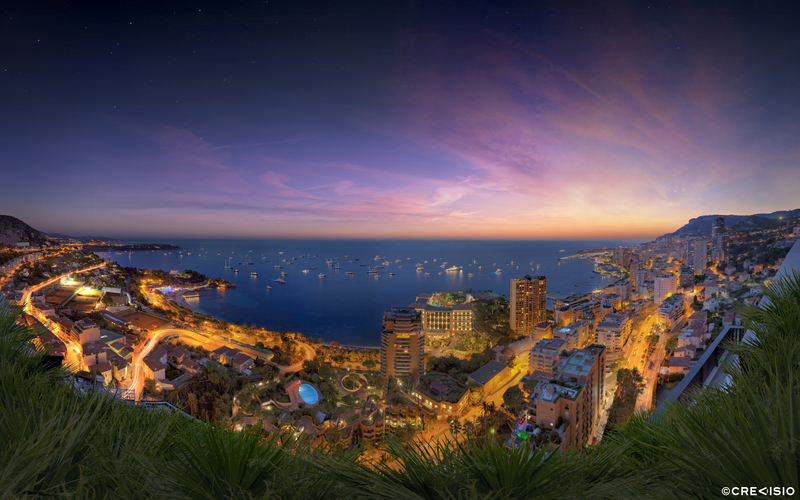 Panorama of the 2016 Monaco Yacht Show sunset. This photograph was taken high above Monaco from a residential building overlooking the beautiful cityscape of the Principality and the mooring yachts in the Larvotto bay, extending all the way out to Roquebrune Cap Martin. The full resolution of this ultra high resolution photograph is 408 megapixel (25,550 x 15,964 pixels at 300 dpi). You may download a free high resolution wallpaper version for personal use by clicking on the photo or on the full resolution link provided. For commercial use, please contact Crevisio.